Disrupt your industry, boost profitability, and grow your business with a powerful A.I. strategy. Artificial Intelligence (A.I.) is on the verge of disrupting every domain of human existence. What does that mean for your business? Everything. Building on the power of A.I. 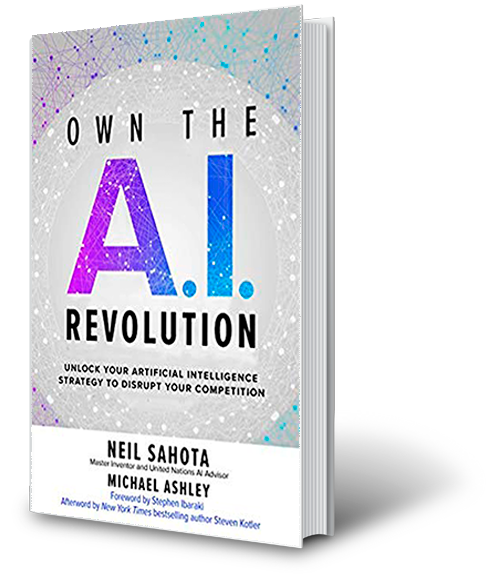 is the factor that will determine success or failure in the very near future―and this in-depth guide from the man who designed the A.I. system that famously won Jeopardy provides everything you need to be a leader in this revolution. You’ll also find interviews with today’s top experts and A.I. thought leaders on the exciting ways organizations are already transforming themselves through this revolutionary technology. A.I. sounds scary to some, but the best business leaders see it as an opportunity―as a way not only to drive profits and outpace the competition, but to build value for customers and make the world a better place. It’s time to face our brave new A.I.-driven world―and make sure you Own the A.I. Revolution! © 2018 Neil Sahota. All Rights Reserved.